For Memorial Day weekend, what better way to get in the spirit than with barbeque... and a blog entry I wrote in August 2009 about The Neely's. I'm craving bbq this weekend in L.A., since I'm not heading to midwest, so I gotta figure something out :-) And if you join the Neely's on Facebook, you'll get weekly recipes... some bbq-related, some not. But all delicious! Back in the Midwest for a few days with the family. I realize how much life here revolves around food (and bulging bellies, lol). I've managed a couple gym trips while here, but all those family (i.e. food) gatherings are close to negating the benefits of exercise. 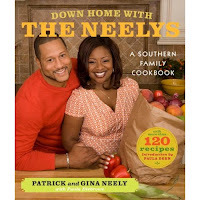 Anyway, why am I now super fascinated with the Pat and Gina Neely (and the rest of the Neely family) of Memphis story? I caught their show recently on Food Network, Down Home With The Neelys, where they showcase their family recipes, heritage, and marriage. Loved it. Came home to my mom's house and found their new cookbook, Down Home With The Neelys, on the kitchen table. Read it cover to cover and now have to get a copy for myself. What I love most (beyond the barbeque, soul food, and sweets they make) is their love story. It's a story that began back in high school, and with a couple relationships, cross-country moves, and children in their paths, they found themselves reunited at their 10-year high school reunion. Now gotta try their restaurant, Neelys BBQ, in Memphis and Nashville. Good love. Good food. What more could someone ask for? We all know young people who would like the opportunity to attend college, but for whatever reason... can't dream it, can't afford it. The novel, Efrain's Secret, by Sofia Quintero follows such a struggle. 17-year-old Efrain is growing up on the tough streets of the Bronx. He's entering senior year. He has earned perfect SAT scores. And he dreams of escaping his environment to attend college at Yale, Harvard, or another Ivy League School. He knows neither he nor his parents can afford the $30+k tuition, so he turns to his boys in the neighborhood pharmaceutical business for a sales job. He desperately wants to pay for college. 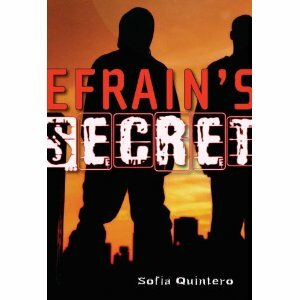 Sofia Quintero has penned several novels focusing on young people growing up in NYC. This is another winner from her collection, and it's for young adults... or young adults at heart. Attended a great reading event yesterday at Cal State L.A., featuring Terrance Dean, James Earl Hardy, and Stanley Bennett Clay discussing their stories in the the E. Lynn Harris tribute, Visible Lives. Lively, energetic, and motivating discussion! Get the book and read the other works by these authors. In the meantime, there is a new E. Lynn Harris novel coming in June. In My Father's House, a novel about gay celebrities, modeling agencies, and father/son relationships, will be released June 22. The beat and books continue. If you're a fan of the late E. Lynn Harris and his novels, then you're sure to enjoy this new book. 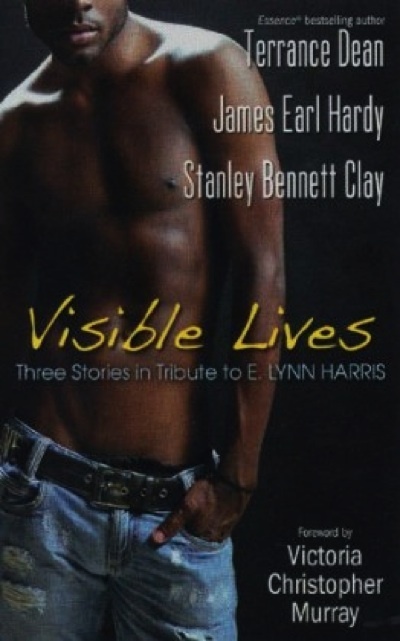 Visible Lives: A Tribute to E. Lynn Harris features new fictional stories by James Earl Hardy, Stanley Bennett Clay, and Terrance Dean in honor of E. Lynn Harris. The stories feature the author himself as a character or characters whose lives have been influenced by E. Lynn Harris or his work. Visible Lives will be available May 25 in bookstores everywhere. The authors will kick off the book with several appearances in Los Angeles next week, including readings at Cal State L.A. and Esowon Bookstore, and at In The Meantime Men's Group. Later next week and through the summer, the authors will appear jointly and separately at additional bookstores, book clubs, pride events, and libraries across the U.S.
For many people, including myself, their writing careers or life identity were influenced or validated by E. Lynn Harris' novels. His groundbreaking early novels, Invisible Live and Just As I Am are must-reads, and were in a sense a rite of passage for many in the black LGBT community. Visible Lives seems a fitting tribute to the groundbreaking author. Definitely a good book to pick up for your summer reading. L.A. Times did a great review of The Carrie Diaries this weekend. 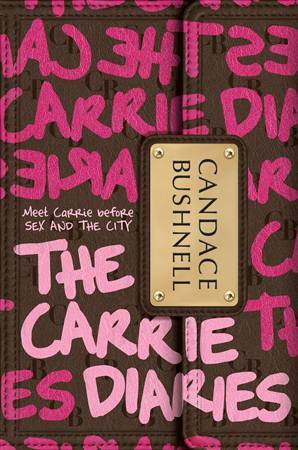 What a perfect way to understand Carrie Bradshaw... by going back to her high school years. 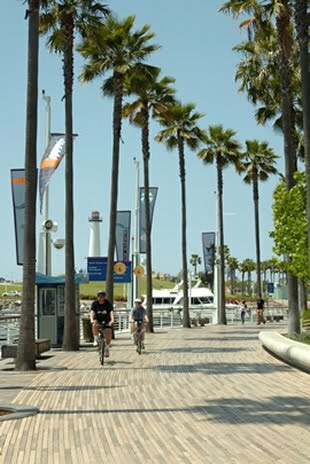 Summer's here... or at least, that's what many of us say when it's Long Beach Pride weekend. Only ocean-front pride festival in the country, and the 3rd largest -- San Francisco and New York City rank higher in terms of attendance and size. If you or someone you know is part of the LGBT community, and in L.A. area, LBP is a must-attend event. And it's this weekend, May 15 and 16. On that note, for those of you who have attended LGBT Pride Festivals before... do you remember your first pride? the anticipation? the friendships, rivalries, or relationships that started? I love hearing "my first Pride" stories... and feel free to share a memory here. So we've all heard the sad news that Lena Horne has passed. Sunday night. NYC. What's so eery... the weekly events email sent Saturday from L.A.'s premiere black bookstore, Esowon Books. The email features an event this Wednesday, May 12 with author James Gavin discussing his biography of Lena Horne, Stormy Weather. The email reads, "James Gavin will sign and discuss Stormy Weather with special guests. Lena Horne will be with us in spirit." That was sent Saturday. Eery coincidence. If you're in the L.A. area this Wednesday, May 12 at 7 pm, stop by Esowon Bookstore for what I'm sure will be both a reading and a remembrance of a special, classy woman. 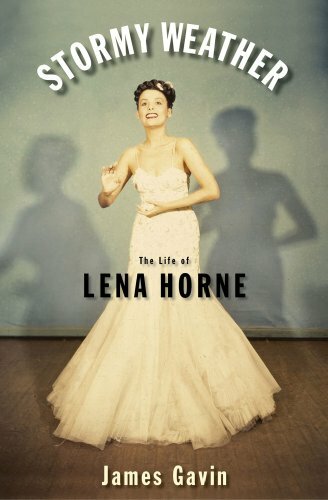 A couple times, I've blogged about Lena Horne. On her 89th birthday in 2006. And this past holiday season, Merry From Lena. Heard about this book on a podcast this week... can't remember the podcast, but the book idea sticks out. 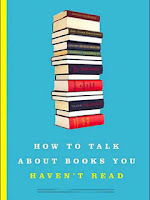 How To Talk About Books You Haven't Read is by Pierre Bayard, and is a fun social guide to participating in conversations about books you haven't read. Listen to this NPR interview featuring the author. I'm sure many of us, myself included, have stood by quietly while people are discussing a book or another topic that everyone is assumed to have knowledge of. Of course, assuming is not a good thing, because everyone comes from different levels of knowledge, education, and cultural capital. 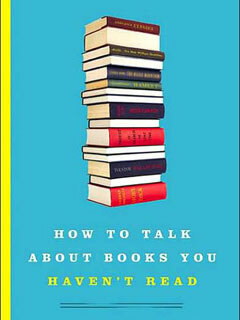 But I'm sure a book like this one will help in some of those socially awkward moments. 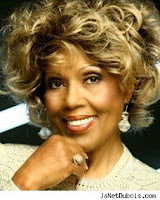 Where's Willona from Good Times? Ths other day in the office, we had a random thought/conversation. "Where's Willona from Good Times these days?" It only took a minute for someone to remember the actress' name who portrayed Willona, Ja'Net Dubois, and then about 30 seconds to find Ja'Net Dubois website and see what's going on in her world. Lots of work, charity functions, and painting great works of art... art we're all thinking we'd like to own. A couple years ago, we had a random thought/conversation about "Where's Thelma?" which I blogged about here. Check out Bern Nadette Stanis' official website, Thelma of Good Times. Just a fun, Monday trip down memory lane. Both actresses look the same as they did back in the day. It's May sweeps. Time for the big catfight showdown between rivals, faked pregnancy to be revealed, and your long-lost love to return from the dead as you're walking down the aisle. 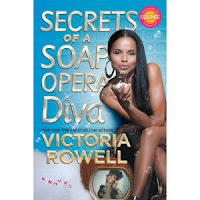 Oh, and it's also time for the release of Secrets of a Soap Opera Diva, a novel by Young & the Restless star, Victoria Rowell. Check out the fun website for the book. The novel follows soap actress, Calysta Jeffries, the hottest (and one of a few) black actresses in daytime, who after fifteen years in the role of Ruby, still hasn't won a Sudsy Award. She desperately want to win the top award in daytime drama. This is sure to be a fun and dramatic read. And while you're at it, you can check out Rowell's memoir, The Women Who Raised Me.